Mesas de Acicaya is a rural community of about 856 people located in the municipality of Tipitapa. Most are small farmers who grow beans, corn and sorghum. Some also have small, informal businesses. There is electricity available, but no water in individual homes. People must walk to the nearest communal spout and carry water home in buckets. 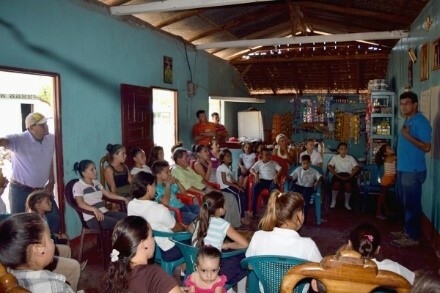 The community has a school with 148 elementary school children. Additionally, 64 high school students are enrolled in a rural secondary program offered on Saturdays. 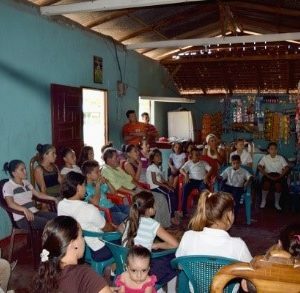 As in most schools of Nicaragua, educational resources are scarce to almost inexistent. Teachers struggle to find books and other materials for their classes, and for students it is almost impossible to find outside resources for research. Few students can afford to travel to the closest Internet cafes or libraries. 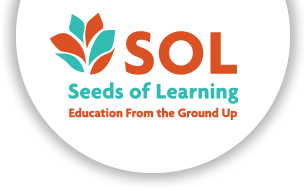 In 2017, SOL will work alongside the members of the Mesas de Acicaya community, Rotary Club of Sonoma Valley, and international volunteers, to build a Learning Resource Center. The center will house reading materials, digital technology, and a variety of educational and recreational materials, such as puzzles, craft supplies, sports equipment, and musical instruments. The long-term vision is for the center to eventually host tutoring and research assistance for students, music and dance classes, sports activities, and vocational trainings. The center will be open to all inhabitants of Mesas de Acicaya, as well as members of seven other nearby communities. The project was initially proposed by a local organization of 15 youth leaders named Caminos al Saber (Paths to Knowledge). 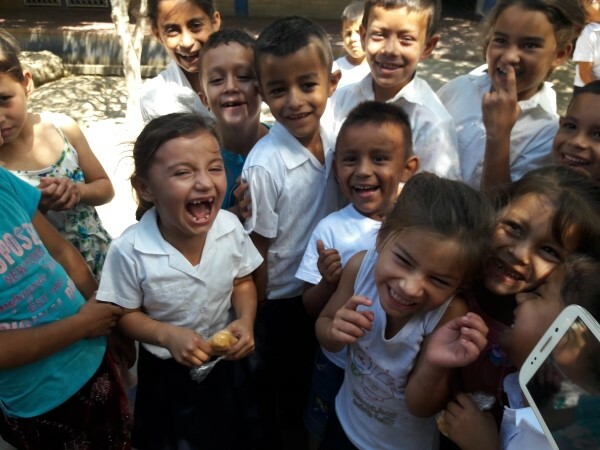 They have agreed to take on the leadership of this project, charge of mobilizing community resources, organizing community participation and volunteer staff for the center, coordinating local fund-raising efforts, and providing logistic support to Seeds of Learning in the community. 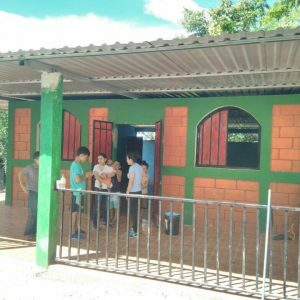 January, 2018 Update: The construction of the Learning Resource Center in Mesas seemed to fly by thanks to the incredible support of the international volunteer groups, as well as the involvement of the community. 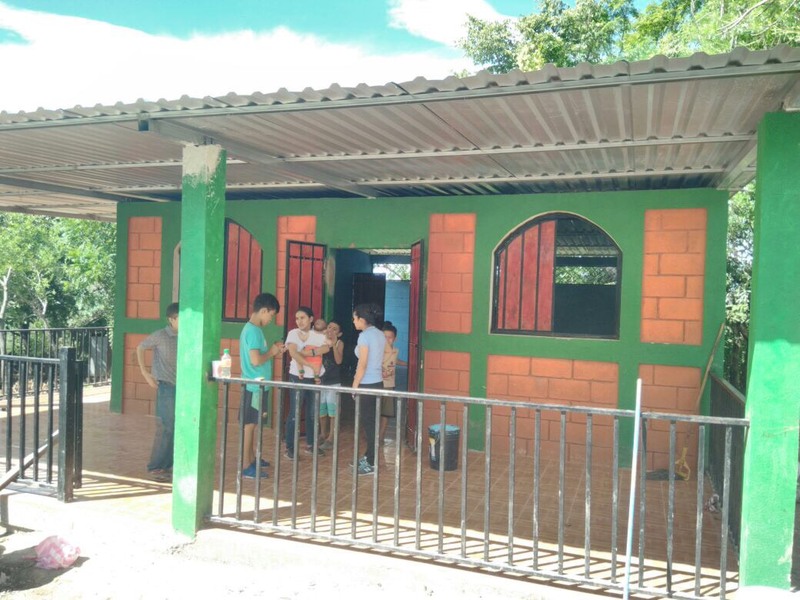 In addition to the completion of the structure, the community youth organization Caminos del Saber organized a book drive in Managua that brought in hundreds of donated books. The official inauguration of the Brandon Barmore – Katyrin Martinez Learning Resource Center will take place in April of 2018, with the participation of international volunteers and supporters. Click here to view photos of the construction progress. We thank the Rotary Club of Sonoma Valley generously funding the construction of the new learning center. We also thank the many volunteer groups who helped with construction.